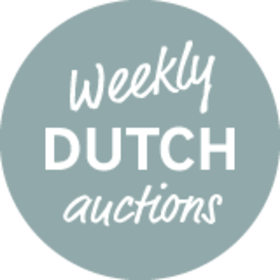 The JR Weekly Dutch Auctions offer a new set of premium cigars for you to bid on every Thursday at 6am EST. 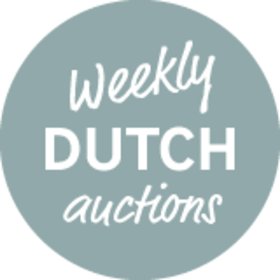 These auctions run for a week and allow you to bid on multiple quantities of the same item to stock up and save big. 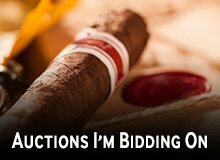 You have 7 days to lock in your winning bid, so play carefully! Showing 1 - 19 of 19 items. 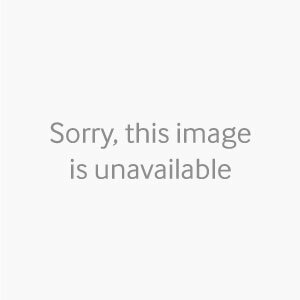 No auctions match selected filters. 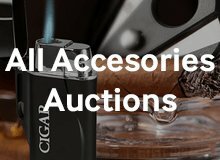 View all auctions. The H. Upmann Connecticut Toro cigar offers a bolder smoke than your standard Connecticut-style blend. 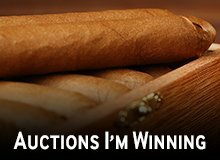 Handcrafted with select aged Dominican and Nicaraguan fillers, and a sturdy Nicaraguan binder, these premium handmade cigars are finished with a pristine Ecuadorian Connecticut wrapper. The result is a medium body smoke loaded with delicious flavors of baking spices, roasted peanuts, coffee beans, and a rich tobacco sweetness. 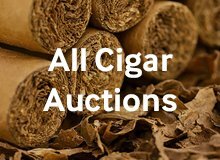 One of the top manufacturers in the industry makes Nicaraguan Factory Overruns Petit Corona cigars; however, since they are such an amazing bargain, we cannot tell you the name or even the blend that you are smoking. 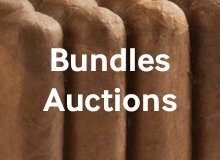 What we can tell you is that they are flawlessly crafted with the best aged tobaccos inside broadleaf maduro wrappers, are medium to full body in strength, and are brimming with rich, Cuban-style flavor. 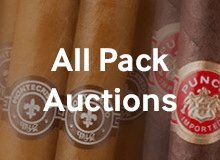 Just compare these very affordable 20-count bundle Petit Corona to some of your favorite super-premium sticks and you will quickly realize that these 4.62x42 no-name gems are the real deal! 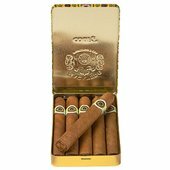 El Galan Dona Nieves Habano Nievita is a fabulous premium cigar from Felix Mesa, a master blender who learned his trade from three generations of cigar makers in Cuba. With a deep earthiness, accented with spice, leather, coffee and hints of caramel, this full-flavored gem rivals the taste of the best high-end Cuban cigars out there. The top-quality Dona Nieves Habano Nievita cigar is a must-try for every serious cigar aficionado looking for a genuine Cuban-style experience. The affordable Los Statos Deluxe Toro cigar is rolled at the legendary La Gloria Cubana factory with the same premium tobaccos used in costlier blends. Medium bodied in strength and jam-packed with flavorful notes of earth, cedar, and a dash of zesty spice, this is a seriously delicious everyday cigar created at the same factory that produces some of the world’s best brands. Although this Robusto is the smallest in the new line, it still packs a lot of flavor. It uses a special blend of Nicaraguan and Honduran fillers that makes it smooth and robust. 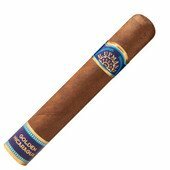 It’s wrapped with a golden Nicaraguan wrapper from Jalapa, giving it hints of spice and a little earthy taste as well. It is packaged in a box of 14. 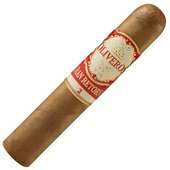 Swing, a premium handmade beauty from Boutique Blends, and part of the Oliveros Gran Retorno Connecticut line, is a beautifully constructed 6 x 50 Toro. 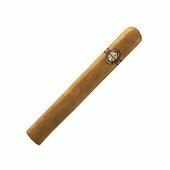 The cigar features a gorgeous golden brown Connecticut wrapper covering a Habano-seed Honduran binder, and a mixture of perfectly aged Dominican, Honduran, and Nicaraguan long filler tobaccos. Mellow bodied in strength, this highly aromatic blend unleashes savory notes of cedar, sugared coffee, roasted nuts, and just the perfect hint of sweetness. Be sure to place an online order with JR Cigar now, so you can start enjoying this delicious Rafael Nodal creation. Sold in boxes of 20. 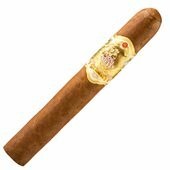 This is a fat robusto that comes packed with intense flavor. The latest addition to the Aging Room family, the Bin No. 1 uses a 16 year old blend of tobaccos and an oily Ecuadorian Habano wrapper. Its medium to full bodied strength gives it power but not to much. Perfectly balanced and expertly rolled, Aging Room has once again struck gold. Packaged in a box of 20. 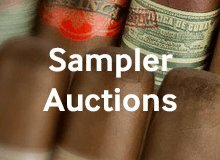 Premium handmade TTT Trinidad Santiago Robusto cigars are part of a joint collaboration between Rafael Nodal of the famed Boutique Brands, and Altadis USA, home to such legendary brands as H. Upmann, Romeo Y Julieta, Montecristo, and more. This exciting new Trinidad is a Dominican puro rolled with tobaccos grown in the fertile Cibao Valley by legendary master blender José "Jochy" Blanco. The cigar aficionado will savor a medium to full-bodied smoke brimming with complex notes of cocoa, various spices, leather, toasted almonds, and a vibrant peppery finish. Slightly mellower than many other El Reys, the popular Café au Lait has creamy cocoa and gentle spice flavors that really come to life when smoked with any coffee beverage. Packaged in a box of 24. These elegant little premium smokes pack the same big earthy Honduran flavors as their larger cousins. Tinned for convenience and easy transport, the Bon Bon offers tons of hearty flavors in a very short time. Packaged in five tins of six cigars. Always smooth, aromatic, and easy to draw, the Macanudo Court Tins offer top-quality flavor in a little package. Just grab your tin, hit the road, and enjoy this legendary smoke wherever you go. 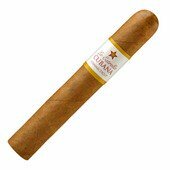 Brought to you by the company behind the famous Macanudo and Cohiba brands, La Estrella Cubana Connecticut is a top-quality handmade cigar with a very modest price. Gigante a 6 x 60 monster is a medium to full body stick with creamy textured notes of coffee, hazelnut, cedar, toffee, and a sweet, soothing aroma. With a taste that rivals the best super-premium cigars, you will want to grab a box of 20 (or 2) the next time you place an order online with JR.
La Mission by L'Atelier Cote d'Or La Tache is a mouthful to say, but it also offers a mouthful of delicious medium body flavors! Coming from the famed My Father Factory in Estelí, Nicaragua, this beautifully built premium cigar offers a tantalizing combo of mocha, chocolate, leather, wood, and subtle hints of spice. Good to the last puff, this is a cigar that will be very hard to put down! The Warped La Colmena Black Honey 2017 cigar is a very limited- edition yearly release from Warped. For 2017 the blend features a very dark and oily Habano Oscuro wrapper paired with binder and filler tobaccos from the Dominican Republic and Nicaragua. 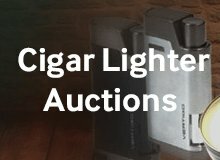 It’s medium bodied in strength and loaded tantalizing flavors of dark Cuban coffee, smoky tobacco, chocolate, hints of white pepper, and a sweet honey finish. 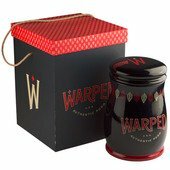 Order yours and experience one of the most sought-after cigars in the famed Warped lineup. Introducing the Jaridor! Its elegant ceramic round body allows for storage of up to (25) Double Corona size cigars of your choice, without the bulk. With an airtight gasket seal, Spanish cedar lining, and a humidification puck within the lid, your cigars will remain factory fresh. Perfect for your desk, cabinet, or shelf, the Jaridor will be the centerpiece of any room. Much milder than the rest of the Tatuaje line of premium handmade cigars, this stunning El Triunfador is gleaming with oil, compliments of its nut-brown Ecuadorian Habano wrapper. The No. 2 Belicoso Fino is a delicious combination of earth, caramel, coffee, and woodsy flavor that awaits your trusty torch lighter. Packaged in a box of 10. 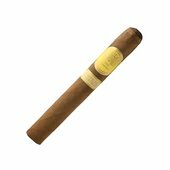 The Sancho Panza Caballero is a box-pressed cigar made to calm and delight your palate. Lighter in strength than most, it features a medium-bodied profile that perfectly soothes after a long day. Despite its milder profile, the Caballero is richly flavorful thanks to its premium tobacco blend and masterful Honduran construction. Packaged in cedar chests of 20, get yours online today. 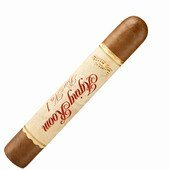 The Sancho Panza Glorioso is a tranquil and satisfying smoke for those looking to kick up their feet and relax. Handcrafted in Honduras, it features premium Dominican, Honduran and Nicaraguan tobaccos – all expertly wrapped into a beautiful golden brown Connecticut Shade leaf. 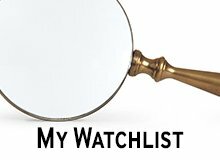 Sturdy in size, they’ve been specially designed with a 50 gauge ring and 6.12 inch body. 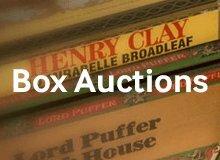 These box-pressed smokes are sold in cedar chests of 20.